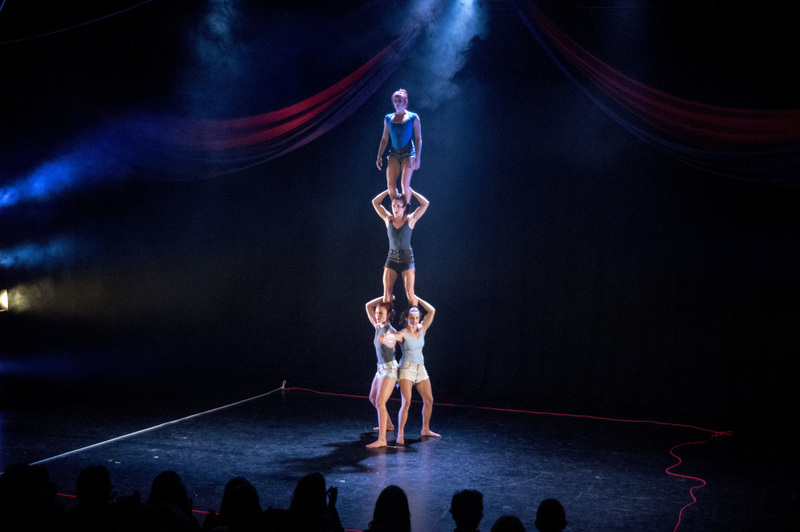 Elegant by nature, sophisticated in style, 'Entropy' explores what happens to regular circus acts when additional factors are introduced. 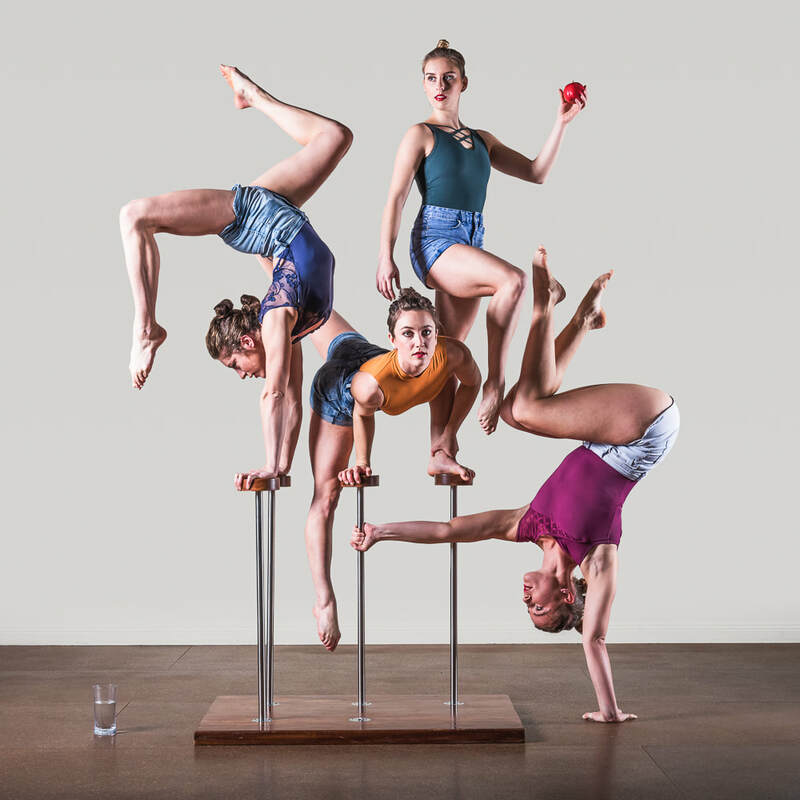 Bodies entangled in rope are pushed off balance and props stolen mid-trick, water spilt and apples split. 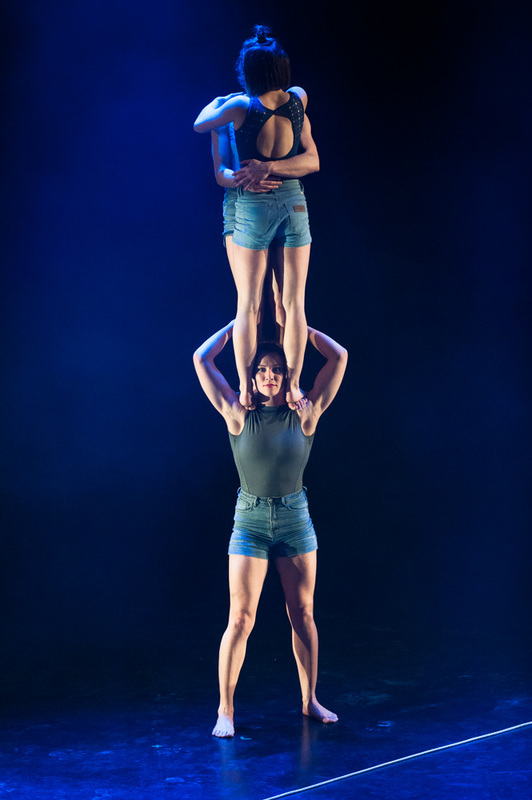 There is a sense of play, keeping audiences enthralled by the peeling of apples and breathtaking acrobatics equally. 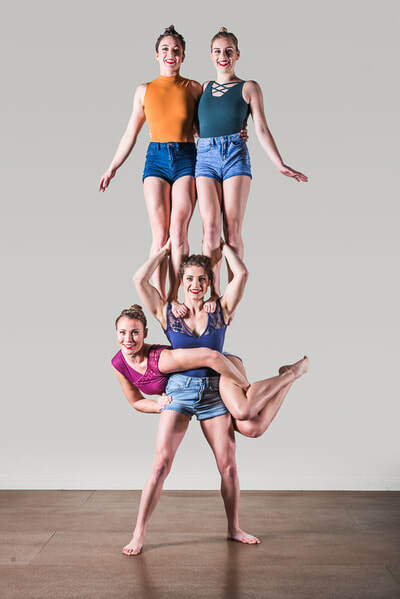 Dynamic and powerful, these acrobats show an incredible level of physical prowess whilst maintaining femininity. 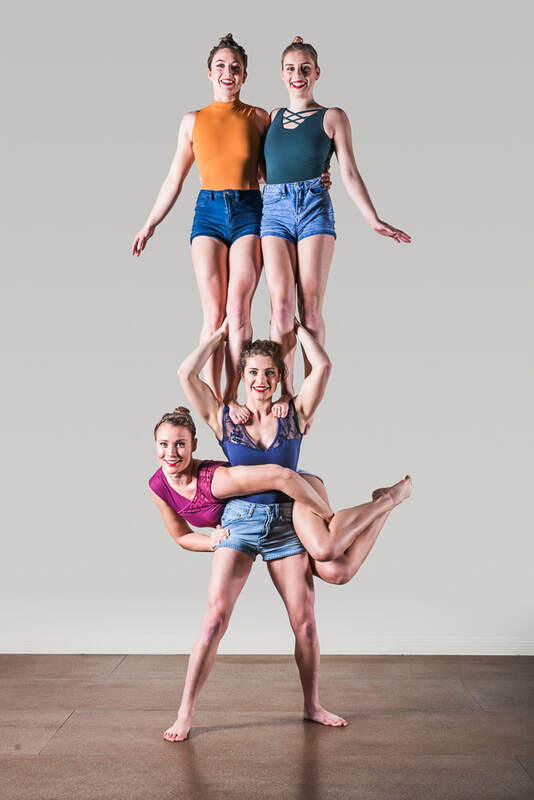 They perform awe-inspiring lifts and balances with apparent ease, defying their lithe physiques. 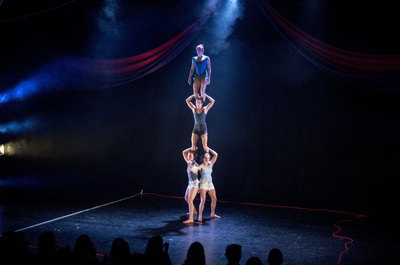 A distinctive element threaded through the show is a white rope. This and three other red ropes define the onstage working space, however the white rope is continually moving to entrap bodies and dictate movement. 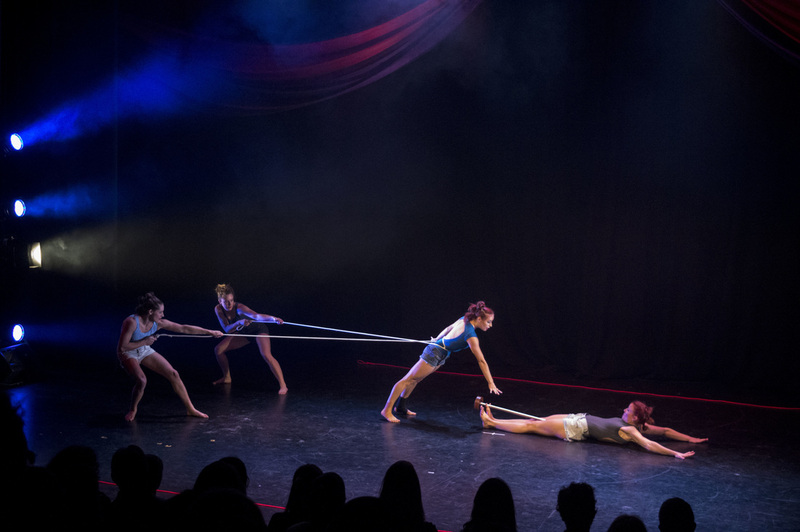 This rope rarely leaves the stage and is just as crucial as any cast member. 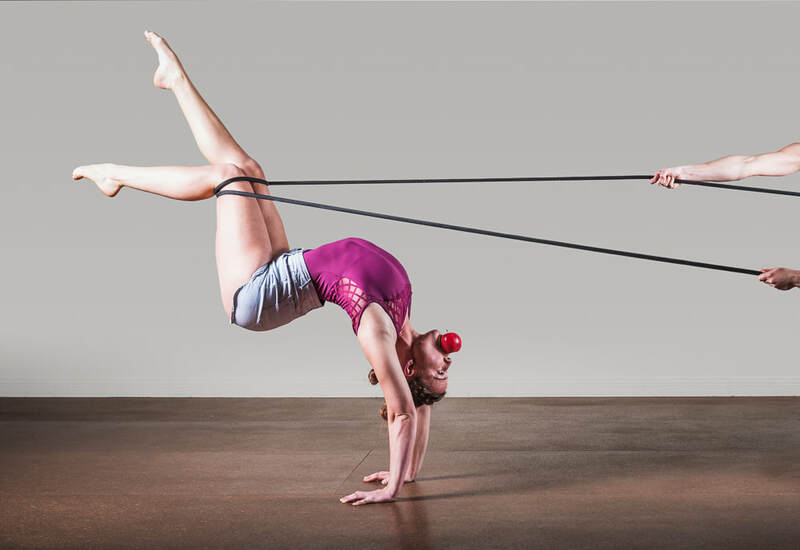 The movement and style accompanying most of the work done with this rope is reminiscent of contemporary dance, providing balance from afar as well as pulling traditional acrobatics off-center.